Take I-71 and exit onto Ronald Reagan Highway. Head west on Ronald Reagan Highway and take the 2nd exit which is Hunt Rd/Plainfield Rd. Turn left at the end of the exit ramp onto Hunt Rd. Get in the right hand land and turn right at the light onto Plainfield Rd. Then, turn left at the 2nd light onto Plainfield Rd where Reed Hartman Highway begins. Turn left into the UC/Raymond Walters Campus. 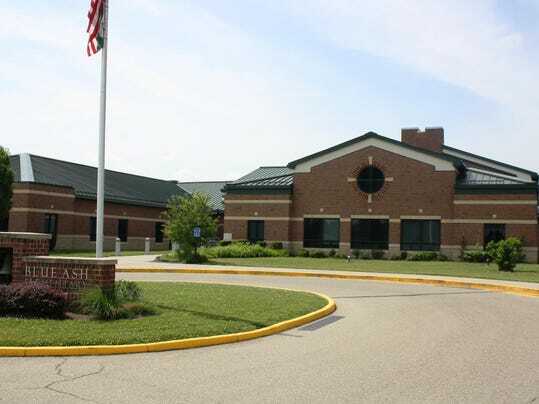 After entering the drive, make an immediate left into the Blue Ash Elementary School driveway. The school is at the end of the driveway. Take I-71 to Pfeiffer Road exit. Turn west onto Pfeiffer and go 1/2 mile to Kenwood Road. Turn left (south) on Kenwood Rd and travel about 1 mile to Aldine Dr. Turn left on Aldine Dr and travel about 100 yards to school entrance. The gym entrance is located at the far north end of the building at the circle drive. Take I-275 to the Montgomery Rd exit. Follow Montgomery Rd north about 1/2 mile until you get to Cornell Rd. Turn left onto Cornell Rd and travel about 1 mile to Sycamore High School which is located on the right side of the road. Follow the parking lot back past the soccer field and you will see a building adjacent to the soccer field and just north of the main high school building. This is the Gregory Center. Basketball courts are located in the back of the building. From I-71, take Ronald Reagan Hwy/Cross County exit. Go East onto Ronald Reagan Hwy towards Montgomery. Go North on Montgomery Rd. Turn left onto Cooper Rd at first light on Montgomery Rd. School is on left about 1 mile. Enter Sycamore Junior High at the western entrance near the school bus compound and football stadium. The entrance to the building is adjacent to the parking lot. From I-71, take Ronald Reagan Hwy/Cross County exit. Go East onto Ronald Reagan Hwy towards Montgomery. Go North on Montgomery Rd. Turn left onto Cooper Rd at first light on Montgomery Rd. School is on left about 1 mile. Enter Sycamore Junior High at the west entrance near the school bus compound and football stadium. The entrance to the building is adjacent to the parking lot. Take I-71 to Pfeiffer Rd exit. Head west on Pfeiffer Rd and go about 1/2 mile to Kenwood Rd. Turn left (south) onto Kenwood Rd and travel about 1 mile to Hagewa Dr. Turn left onto Hagewa Dr and Mapledale Elementary School is located at the end of the road. Take Ronald Reagan Highway east until it dead ends into Montgomery Rd. Take Montgomery Rd north for about 1 mile and pass through Old Montgomery. Montgomery Elementary is located on the left side of the road about 1/2 mile past Remington Rd. Take I-71 north to Fields Ertel/Mason Montgomery Rd exit. Turn right from the exist ramp onto Mason Montgomery Rd and follow that for 1/2 mile until you get to Montgomery Rd. Turn left onto Montgomery Rd and travel north for 1/2 mile until you get to the first traffic light which is Enyart Rd. Turn right onto Enyart Rd and the entrance to Symmes Elementary School is about 200 yards down the road on the left. The gym entrance is around the back left side of the school.